One Red Robinis another totally divine Australian store on Etsy who make gorgeous toys. The detailing and artistic creation that goes into making these is amazing, I think I could stare at them all day. How would you ever choose which one you wanted to take home. One Red Robin is the creation of Jhoanna, and from the sounds of her bio on her site One Red Robin, is one very busy mum. If you are looking for a very special handmade gift then I think these would make an outstanding one. 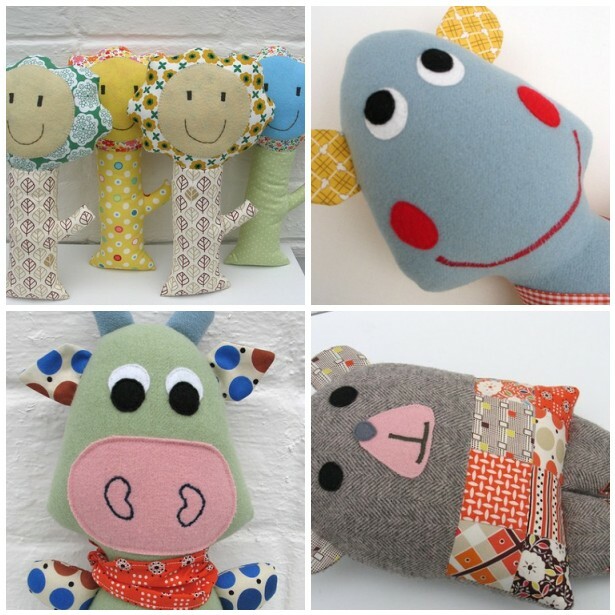 The sweetest little characters live in a shop on Etsy called Poppy Lane. Bears, cows, birds and even a cute tree rattle are the creation of of Kali in her little studio in Tasmania. These sofites are bound to delight your little one with the gorgeous array of fabrics and Kali’s unique designs.